Totally Devoted in New Zealand have worked hard to develop the unique recipes for the cookie and tea ranges we make available to you here in Australia and are understandably proud of the uniquely formulated mix of lactation cookie and lactation tea ingredients in particular, which are reputed to help support mums and their families' health needs. 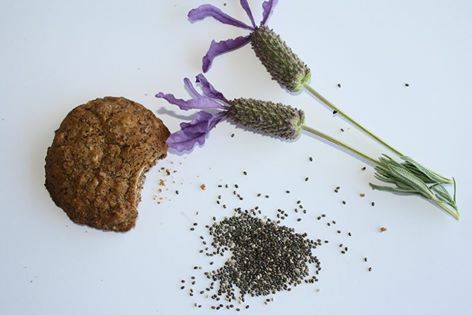 All our cookies are based upon a wholesome mix of oats, linseeds, coconut oil, buckwheat flour and cinnamon and are all wheat, refined sugar & 100% preservative free, while at the same time still having long best before use dates. Organic buckwheat flour, coconut oil, brown rice syrup, organic coconut sugar, rolled oats, lindseed, filtered water, cinnamon, baking soda, raising agent (500), fennel, fenugreek, Himalayan mineral salt, natural rosemary extract. Organic buckwheat flour, coconut oil, brown rice syrup, organic coconut sugar, rolled oats, ground linseed (12%), filtered water, cinnamon, baking soda, raising agent (500), Himalayan mineral salt, ginko biloba, natural rosemary extract.